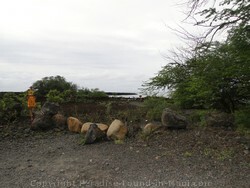 in Maui at "The Dumps"
So you want to snorkel at Ahihi Kinau's "The Dumps?" Good call my friend! Now to be honest, I worried that we'd never find it when we first went here - it felt like we were in the middle of nowhere. But YOU won't have that problem - I'll give you some easy directions for getting here, easy directions for finding the right spot to enter the water, plus photos to guide you along. And since you're here, you might as well get in on all the details of our morning of snorkeling here! Our morning at Ahihi Kinau's "The Dumps" was kind of eerie, but totally awesome - by far the best snorkeling in Maui we've had so far. 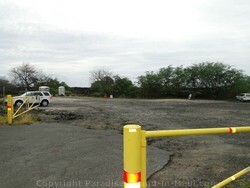 The eerie: we were all alone in this desolate landscape with its grey skies, barren lava rock, and deserted parking lot. The awesome: we saw more fish than we'd ever seen before - the enormous number and variety of fish here was incredible, and we got here early enough (shortly after 7 a.m.) to get the place to ourselves! 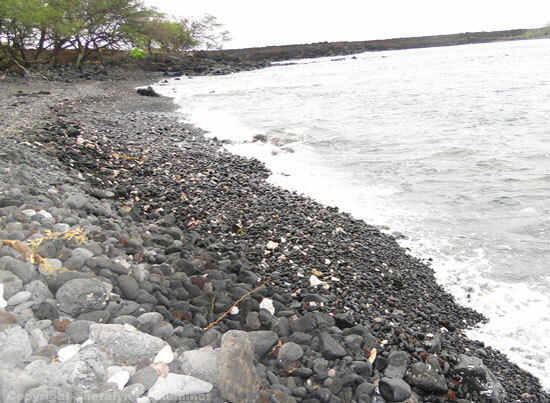 To get here from Wailea, follow Wailea Alanui Drive to the south - it will turn into Makena Alanui Drive, and once that comes to an end, it will be Makena Road. Past Big Beach, the road gets a bit more narrow - I thought it was rather picturesque the way it meandered it's way along the coast. 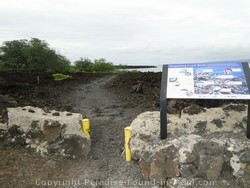 A short ways past a large bend in the road, you'll see the signs welcoming you to Ahihi Kinau Natural Area Reserve. You'll pass a popular cove for snorkeling that's maybe 100 yards or so from the signs you just passed. If you're looking for "The Dumps" then keep on driving. After another 100 yards or so, you'll pass a long stone wall on your right, and then you'll see a large gravel parking lot with bright yellow gates on your right. THIS is the parking lot you're looking for. So Where do You Get in the Water? To get to the water, you walk for a minute or two down a faded black gravel path, past some forlorn-looking shrubs, until you come to a black rock beach. 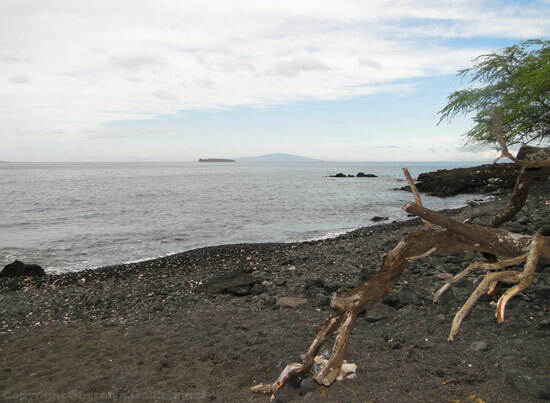 THIS is "The Dumps" - location of the best snorkeling in Maui we'd experienced to date! I've Never Seen So Many Fish! 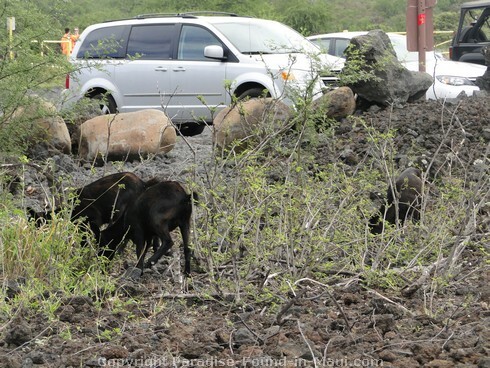 On our way back to our rental vehicle, I was excited to get to see some stray goats along the path - they were so cute! I wanted a good picture, but the best I could do was a picture of their bums as they turned to scamper off. 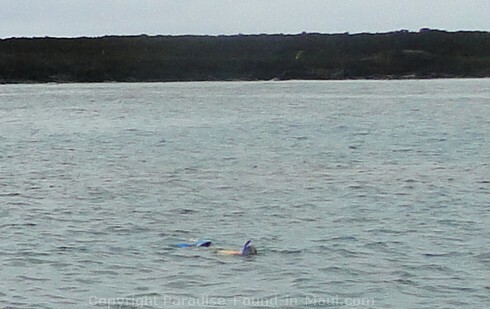 5 Tips for Snorkeling at Ahihi Kinau's "The Dumps"
Although this spot has some of the best snorkeling in Maui, I wouldn't recommend it to beginner snorkelers or those who aren't strong swimmers. This area is rather isolated, there are no lifeguards, the waves can be rough, and the rocky beach makes it a challenge to get into the water. I know we had some reservations about getting into the water once we arrived and saw that we were pretty much on our own in the middle of nowhere. 1) Be sure to snorkel with a buddy. Or at the very least, have someone on shore to keep a close eye on you so they can help if you get into trouble. 2) I suggest that prior to entering the water, you just sit on shore for a while to get a feel for the conditions, where the best place to enter the water will be etc. 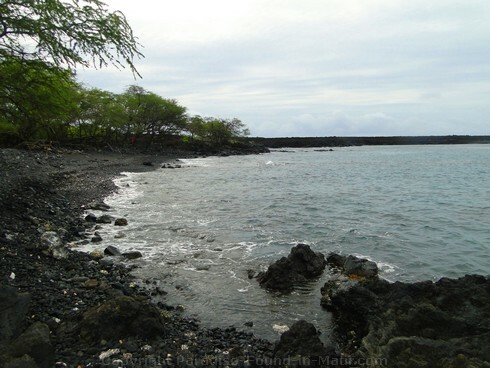 3) Save snorkeling here at Ahihi Kinau for a day when the wind and waves are calm - rough waves can make entry into the water difficult, and strong winds could carry you out to sea. 4) If you're not a beginner, but not super experienced either, stick fairly close to shore so you won't have to worry as much about currents making it tough to get back. We didn't go very far out since we were the only ones here and that made us a bit timid - however, we still saw tons and tons of marine life. 5) Before you enter the water, do a quick scan for sea urchins - I saw a poor guy at the local walk-in clinic who had a rather nasty looking foot injury from stumbling onto one as he exited the water after a snorkeling session. Granted the rocky bottom here makes it tougher to spot from above, but still... it can't hurt to take a look. There is a large gravel parking lot here, plus some port-a-potties. 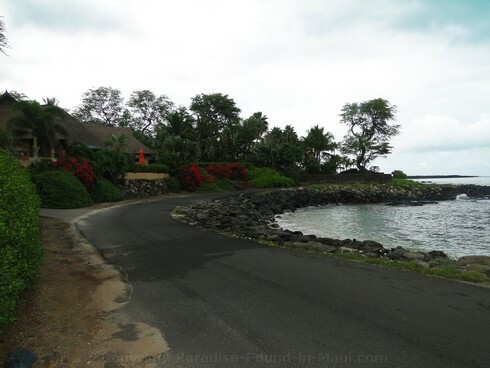 Home > Best Beaches > Ahihi Kinau "The Dumps"